Nothing much happens in the sleepy town of Venus Cove. But everything changes when three angels, Ivy, Bethany and Gabriel are sent from heaven to protect the town against the gathering forces of darkness. They work hard to conceal their true identity and, most of all, their wings. But the mission is threatened when the youngest angel, Bethany, is sent to high school and falls for the handsome school captain, Xavier Woods. Will she defy the laws of Heaven by loving him? Things come to a head when the angels realise they are not the only supernatural power in Venus Cove. There’s a new kid in town and he’s charming, seductive and deadly. Worst of all, he’s after Beth. The angels and Xavier must work together to overcome the dark forces – but will Beth survive the battle? What disappointed you about Halo? 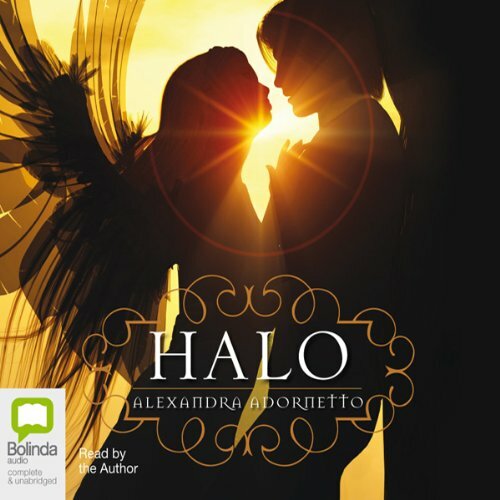 Has Halo turned you off from other books in this genre? What didn’t you like about Alexandra Adornetto’s performance? The faltering accent of the author/narrator was horrible and distracting, she kept falling between an Aussie & fake American accent eg. was glad the book ended was not my cup of tea another one of those stores where the power of love saves them its such a copout. A wonderful story with fascinating characters, Beautifully read by the author. I lost a few hours sleep listening, Almost late for work. Just one more chapter, then sleep :-) 5 stars all day long.